Carlos is a Private Banker who has worked for institutions such as Credit Suisse and Société Générale. He is in the board of Experienced Investor Funds, the Chairman of the Gibraltar Association of Compliance Officers, and he teaches Finance at the University of Gibraltar for an LSE degree course. 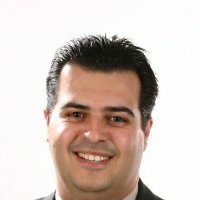 Carlos holds a BSc degree from the University of Applied Sciences, Berne, and he is a Swiss Financial Planning Expert.